Frames: Ten 300 second exposures for each of RGB and twelve 600 second exposures in luminance. Processing: Stacked in CCDStack, balanced, curves and colour enhanced in Photoshop SC5. 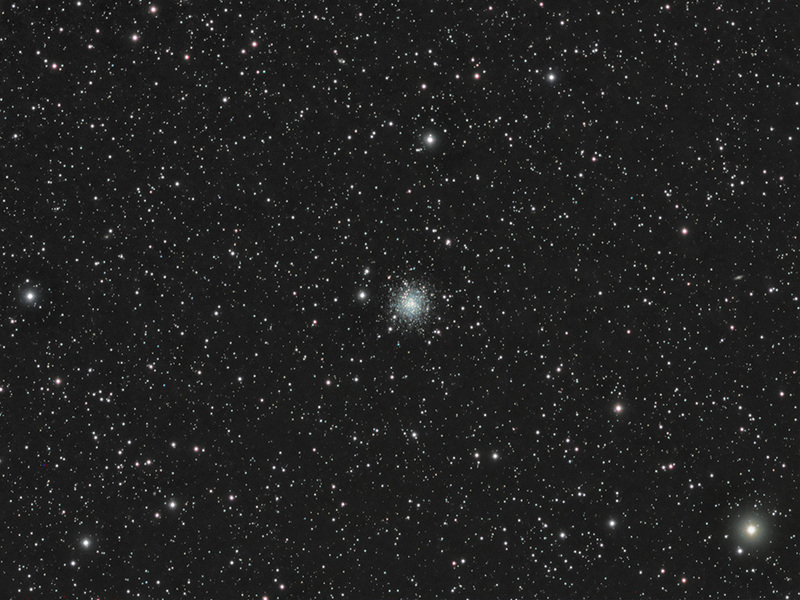 Text from APOD: The globular cluster M22, pictured above, contains over 100,000 stars. These stars formed together and are gravitationally bound. Stars orbit the center of the cluster, and the cluster orbits the center of our Galaxy. 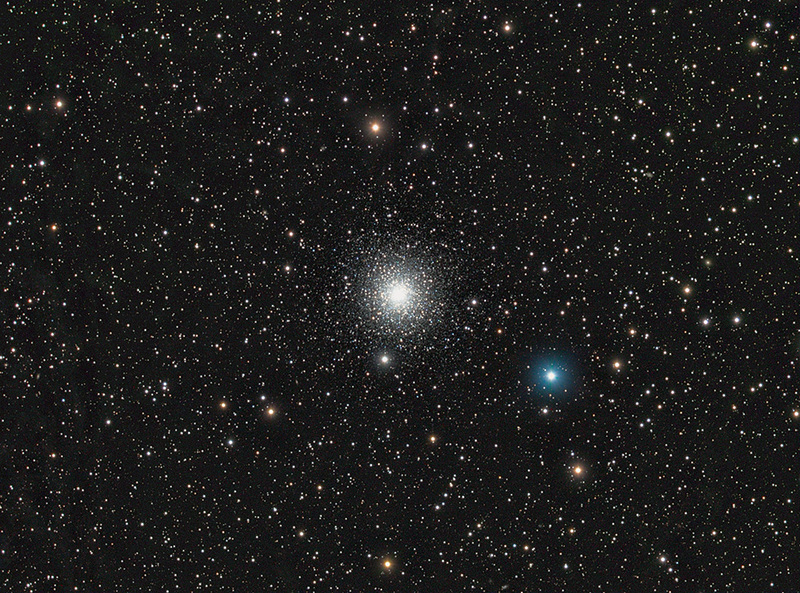 So far, about 140 globular clusters are known to exist in a roughly spherical halo around the Galactic center. 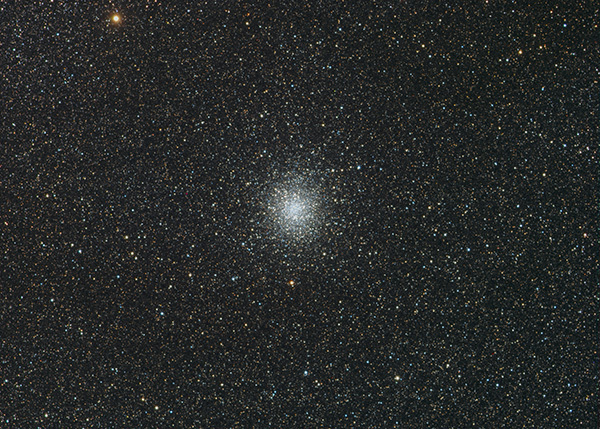 Globular clusters do not appear spherically distributed as viewed from the Earth, and this fact was a key point in the determination that our Sun is not at the center of our Galaxy. 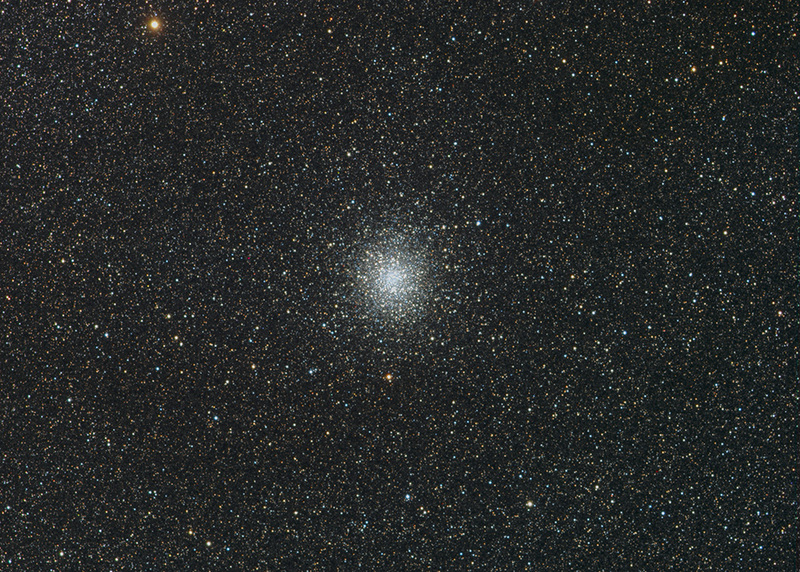 Globular clusters are very old. There is a straightforward method of determining their age, and this nearly matches the 13.7 billion-year age of our entire universe.